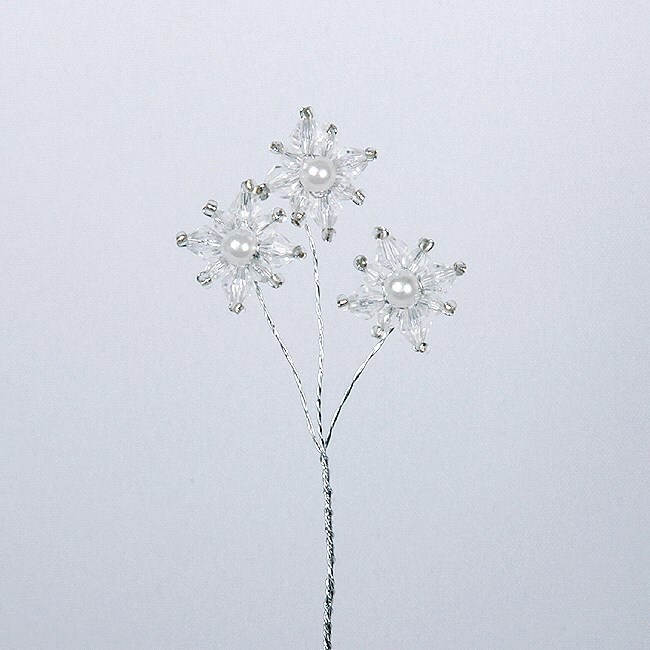 Description3 crystal pearl stars per stem, 6 stems per pack. Each crystal pearl star is made up from 8 clear crystals with bead centre. Approx sizes: Star flower is 2cm diameter on a 9cm stem. 3 crystal pearl stars per stem, 6 stems per pack. Each crystal pearl star is made up from 8 clear crystals with bead centre. 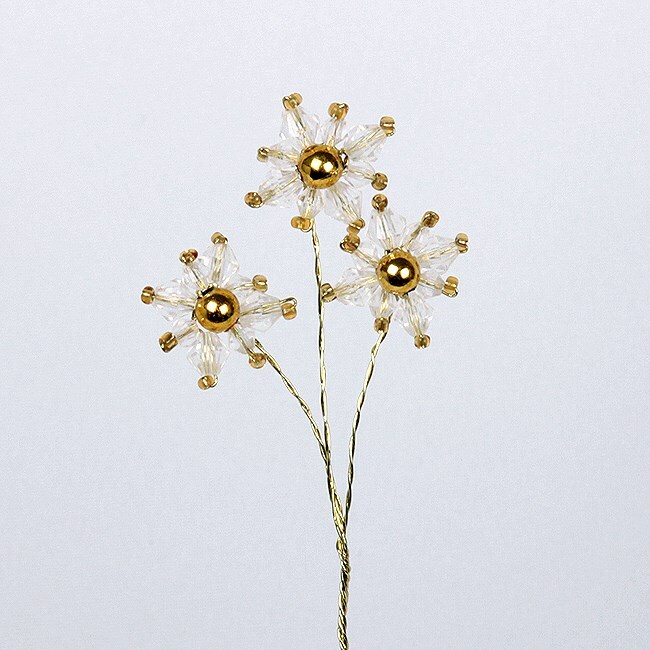 Approx sizes: Star flower is 2cm diameter on a 9cm stem.